Dogs will always love their masters unconditionally. They don’t care if you are rich or poor. They don’t care if you are black or white. They don’t care what language you speak. Dogs cannot choose their master. But, you can choose your dog. Just as people have different personalities and temperaments, dogs differ in character. So, to create a perfect master-dog relationship, it is best to know exactly what type of dog you are looking for before you decide which breed of dog you are going to get. We are going to present the ten most popular breeds of dogs in the U.S. and tell you something about their personality and what you can expect from them. If all you are after is a dog that is loving; all dogs will love you as their master. That’s what they live for. The purpose of the following descriptions is for you to find out the breed that will best suit your needs. Labrador Retrievers are considered as the best family dogs. Labs, as they are commonly called, display well-mannered temperaments and are always eager to please their masters. They are the most popular breed of dogs in the U.S. Their kind and outgoing personality makes them very good for children. Labs will never get tired of playing catch with kids. German Shepherds are considered as work dogs. German shepherds are courageous and very loyal. They prefer to be close with their families and have a very protective nature. They are often used as sheepdog and the preferred seeing dogs for the blind. They are also used in search and rescue operations. The German Shepherds are always glad to be of service and use to their masters. Golden Retrievers are hunting dogs. They are classified as sporting dogs. They are very useful in hunting for their soft mouth and eagerness to retrieve in water. They usually have something stuffed in their mouths because they love to fetch. Their permanent smiles and joyful prance make them one of America’s favorite dogs. Beagles are energetic dogs. Though sometimes very mischievous, causing trouble wrestling with the things in the garbage cans, shoes and dirty laundry, they have tons of energy to burn with your energetic kids. They are a very curious breed, always sticking their noses to all kinds of stuff. They may have a little less concentration in learning and training but they will never tire out when playing with your kids. Yorkshire Terriers are the best watch dogs. Though they may not be the best attack dogs because of their small size, they don’t hesitate to bark and catch everybody’s attention. They will sit down for hours and keep watch for strangers and any potential trouble. They are also known to be very loyal and clever. Boxers are the most playful dogs. Behind their extremely muscular body lies very gentle and playful spirits. The boxer got its name from its favorite stance of jumping up and down with his paws doing some punching motions as that of a boxer. These dogs will last the whole day playing with his master. Poodles are the most trainable dogs. They are very intelligent and graceful as though they are princesses who don’t want to soil their gowns. They are typically pleasant, happy and sensitive. They can easily respond and stay focused to training. Rottweilers are the best police dogs. Like the German Shepherd. 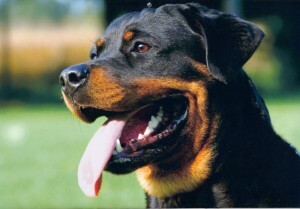 Rottweilers are good workers but are commonly used as police dogs. They are calm and confident with very sharp skills. They are considered as very intelligent dogs with a strong willingness to work. They are generally an all-purpose dog. Dachshunds are the most affectionate dogs. They are very devoted to their families. They are known to be bold, curios and a bit mischievous. They come in a wide array of colors including black, red chocolate, tan, cream and blue gray. They are very lively and loving and are very fond of both playing and cuddling. Though you may already have an idea on the breed of dog you like based on the descriptions that you’ve read and the information that you may have gathered elsewhere, a lot of things can still change upon eye to eye contact with the choices. 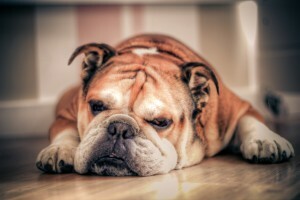 When you go to the pet shop or Petsmart, where they have a variety of dogs for adoption, and have fallen in love with another breed aside from your initial choice, then you can refer back to this article and read over its general description. Remember, no matter what kind of breed you choose, your dog will love you like no other but, in their own special way.